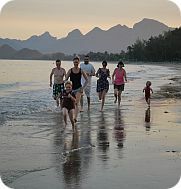 Thailand is a great destination for a family holiday. 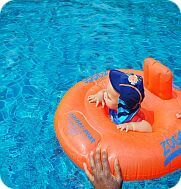 Our luxurious family villa is fully equipped for children and is the perfect base from which to explore the exciting local area. Explore mystical caves in Sam Roi Yot and see wild elephants in Kui Buri. Enrich your senses with the sights, sounds and smells of the local markets. Hire bikes and have a day out enjoying the sights and sounds cycling around this beautiful area of Thailand. Go-karting, horse-riding and watersports including banana boat rides for the more adventurous and kite-surfing and kite boarding for older children. There really is something for all ages and interests to enjoy, making your stay in Thailand at Icandi Hideaway the perfect family holiday.